Roundworms are a leading cause of morbidity in the world. They can induce various symptoms and conditions. Learn the remedies and prevention tips. Nematodes (also commonly referred to as roundworms) are a class of organisms that are capable of penetrating into the skin to cause systemic infections. 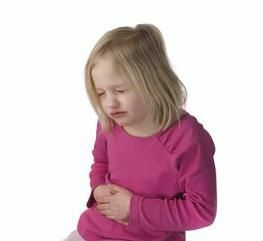 Roundworm infestations are extremely common in children and most cases are found in the tropical regions. The treatment is simple but the eradication of this infection is complicated and time consuming. According to the data reported by World health organization (WHO), approximately one billion people globally have been affected from this infestation. One of the most common diseases caused by the roundworm is Ascariasis; the causative agent is Ascaris lumbricoides. Roundworms in humans are extremely prevalent in areas of poor sanitation. The worms are called as roundworms because of their circular shape. The length of their round body varies from a few millimeters to as long as 2 meters. Roundworms live in the gut mainly, but have a propensity to involve other organs/ systems as well. It has been estimated that approximately 60 different species of roundworms are capable of invading host defenses in humans to maintain a parasitic existence. The larvae of the roundworms live in soil (or other damp places) from where they get transferred into the human body via improperly washed or non-sanitized hands. Besides oral cavity to gut transfer, roundworms can also transfer via direct penetration from the skin into the tissues. What Are the Symptoms of Roundworms in Humans? Different worms cause different symptoms. Onchocerciasis is a type of roundworm that causes eye sight issues and blindness. A severe infection may seriously affect the pace and growth in the children and may produce signs of severe malnutrition and resulting growth restriction/ growth retardation. In a number of cases, the affected person does not show any significant symptoms and signs that may suggest roundworm infestation, other than changes in metabolism and non-specific signs of illness. What Causes Roundworms in Humans? Once introduced in the body, the female roundworms invade gut walls and begin to lay many small eggs. During normal process of digestion and excretion, these small eggs are excreted out from the body via feces. Unfortunately, in areas of poor sanitation (where water sources comes in contact with human wastes) these eggs gain access to the water channels and from there into the human body. It is imperative to mention that the lifecycle of some roundworms require the interface of both types of hosts; intermediate host (such as snails or other small animals) and main host mammals (like pigs, other mammals and humans). The eggs of roundworms are highly resistant to tough/ extreme climatic conditions and can stay in the soil for years. In favorable conditions, eggs of some species develop into small larvas (tiny roundworms) that are easily ingested with food to cause infestation in other organs (such as lungs/ liver). Mebendazole: it is available in the form of tablet (oral dosage form) and drink (liquid dosage form). Mebendazole is indicated for patients who are 1 year or older and to females who are not pregnant or breastfeeding. The recommended dosage varies according to the age and must be consumed in three days (2 doses daily). Other options include: Albendazole and Ivermectin. An advanced therapy is required if the infection has spread to other organs. Surgery is performed in case of large infestations. It is to be noted that these round worms attacks human intestines and grows there. After multiplication they inhibit the absorption of selective nutrients and compounds such as vitamins (A and B6) and other essential dietary nutrients. Scientists also suggested that appropriate intake of vitamin A through diet may minimize the risk of contracting parasitic infections. Medicines which are designed to treat parasitic infections or roundworm in humans are not recommended for pregnant or lactating woman. Ivermectin (anti-parasitic) is also not advised for pregnant woman as well as children under 5 years of age or older children who weigh less than 15 kg. Consume properly cooked meat. Avoid consuming raw or undercooked meals. Avoid green vegetables and salads without proper washing/cleaning. Make sure your children do not play in areas with plenty of clay and soil. Don’t go in areas where human feces are used as fertilizers. Wash hands before and after eating the food and after using the toilet. Medications: Medications can be taken as prophylaxis (for preventing the infection) such as before travelling to areas where these infections are common. The Life Cycle of Fasciola Hepatica and More!